TV – Make Mine Criterion! 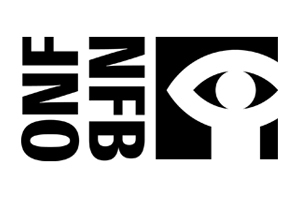 There is no better place to start this survey of the National Film Board of Canada than with The Log Driver’s Waltz (John Weldon, 1979), one of the Canada Vignettes and a ubiquitous short for Canadian television watchers in the 1980s and ’90s. The Canada Vignettes were a series of shorts that served as interstitial programming to Canadian TV networks and were designed to promote Canadian culture. The Log Driver’s Waltz has since become an indelible part of Canadian culture itself and its folk song has consequently become a commonly known tune for Canucks of a certain vintage. This lighthearted, animated short is based on the song “The Log Driver’s Waltz” by Wade Hemsworth. Easily on the most often requested films in the NFB collection, Kate and Anna McGarrigle sing along to the tale of a young girl who loves to dance and chooses the marry a log driver over his more well-to-do competitor. Driving logs down the river has made the young man the best dancing partner to be found.